Thanks for this. Funnily, I think they've used some of my fan-made vectored logos to represent what's in the package. Can tell by the colours. but they already raped me for ultra street fighter 2 recently ! I wonder which code versions they've selected, and if 2nd Impact retains widescreen support. Don't tell me it's emulated. Of course its emulated. 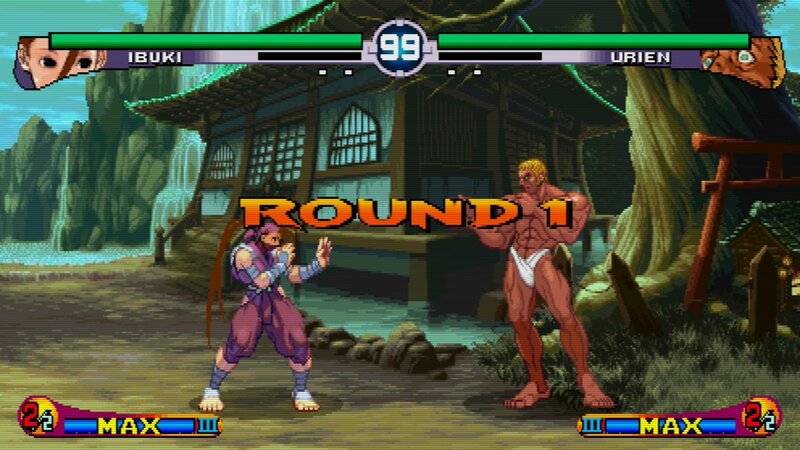 My money is on FightCade code. Where's the fun in playing these games upscaled to 4k? Finally CAPCOM doing a good collection. Believe me or not, but my sister is one of the best gamblers in the town. Right now she's reading sizzling hott online to become better. landisama wrote: Where's the fun in playing these games upscaled to 4k? As far as serious play is concerned many players will just be playing it on whatever 1080p monitor they play sfv on. This is a real dream come true for people who like to play street fighter. I've yet to figure what in the hell sfv is. Despite the title, it certainly isn't a real street fighter game. Seems pretty decent this. There doesn't seem to be a way to select the Japanese versions of the games though. I assume the Japanese release has Zero instead of Alpha etc but I wonder if it has candy cabs instead of woodies? EDIT: Just read the Japanese release has been delayed because fans weren't happy with having the US versions. Would be neat if they changed the surround artwork too. i agree from what i've played so far. played through all the cps1 stuff and they seem very accurate to the arcade boards. the scanlines look good etc . hyperfighting is messed up in mame and all the ports have had long loading or problems like mame so this is the best version i've played. Spectrexcwk wrote: This is a real dream come true for people who like to play street fighter. I've yet to figure what in the hell sfv is. Despite the title, it certainly isn't a real street fighter game. As for scaling, etc, you can set the image size to "original", either with the game's bezel as a border, or with black borders. Been getting some good play on SF2HF. Most opponents are pretty easily defeated but one in particular has been some very even matchups. I dl'ed on Steam/PC, and can't speak for any of the console iterations, but PC is very playable, as good possibly slightly better than Fightcade, imho. It’s bound to be horrible with the pseudo d-pad buttons and analogue sticks. The Switch HORI arcade stick is decent, as is the pro controller. Plus you can now us the pro controller with steam. Here to represent new style VEWLIX arcade fans. Both of you.